This campaign ended on June 01, 2018, but you can still make a gift to Colorado School of Mines by clicking here! May 2018 is A Month for Mines! We're celebrating YOU and the progress you are making for Mines. You support the essential cornerstones of each student's educational journey. Stay tuned to hear more from the students you're impacting! 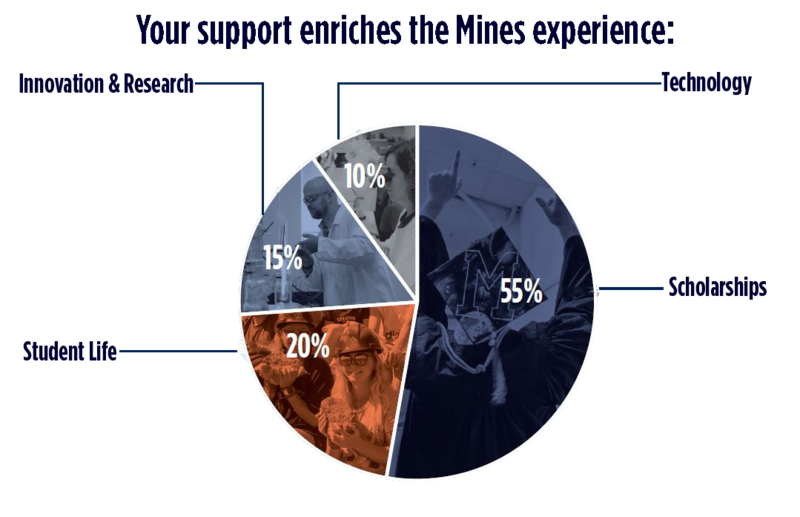 As of April 2018, approximately 2,000 Mines donors have helped raise more than $1,000,000 for The Mines Fund and Family Fund. During the month of May, we hope you will help us add another $50,000 to impact students at Mines. *Gifts made before May 1 will make a difference for students, but are not eligible for the matching funds.